We understand the need for locating the right clamp quickly and easily, so we’re launching our new Kale Assortment Kits. Stocked with our range of CC-P-Clips or Worm Drive Clamps, the kits are built to withstand the pressures of high-use environments (such as mobile van use or workshops). They are compatible with Fischer's Ezi-Pak Module Frames, and due to the movable internal divider system, can be customised on-site to your specific needs. 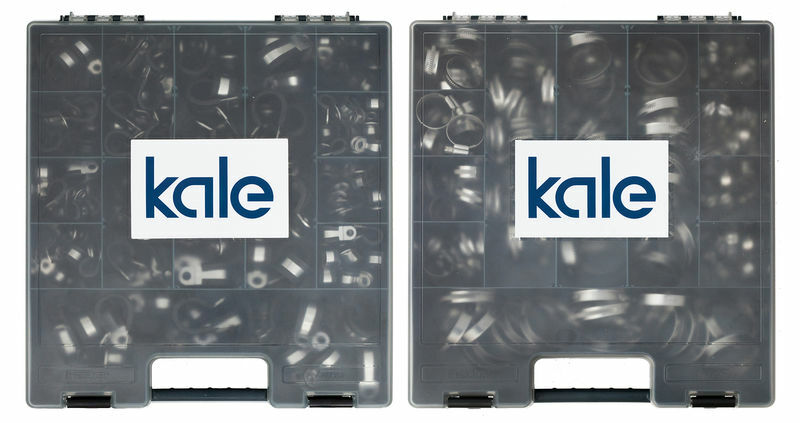 The Kale Assortment Kits save time by putting an assortment of clamps neatly at your fingertips. For more information please click the link below or contact the Global Clamps team.